Professional Oahu Property Management since 1996. We are an established property management firm that represents the region with quality, professionalism, and knowledge. Professionally managing homes in Oahu since 1996, we have strong roots in the communities we serve and the experience to handle all your property needs, whether you are needing management services or looking for a quality home to rent. 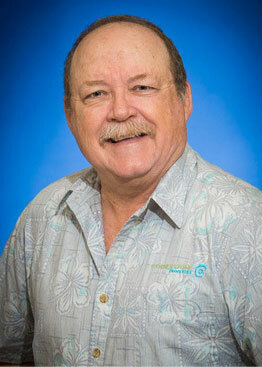 Carl Frazier, R, RMP, Founder, President and Chief Executive Officer of Cornerstone Properties, and past President of the National Association of Residential Property Managers (NARPM) Oahu Chapter, has been managing quality properties on the island of Oahu for over 20 years. Before property management, Carl spent six years in real estate sales. As a leading expert in the property management field, Carl is a contributor to the Tenant/Landlord Q&A newspaper articles in the Honolulu Star Advertiser, speaker at the NARPM National Convention, guest on local radio talk shows, and an expert witness in local court cases. Carl earned his RMP (Residential Management Professional) designation through the National Association of Residential Property Managers. Born and raised in Dayton, Ohio, Carl attended Wright State University. He then graduated with a degree in Business from Sophia University in Tokyo, Japan where he resided for 13 years until he became a resident of Hawaii in 1987. Carl is an avid supporter of the United States Military, with a son currently serving in the Marine Corp. He is also a philanthropist as he spends most weekends volunteering as a soccer referee with AYSO, is a corporate sponsor of the local non-profit organization Common Grace, and serves in his local church, Hope Chapel Pearlview. As a company, Cornerstone Properties sponsors a child through World Vision and comes together every fall to fill shoe boxes for Operation Christmas Child. Cornerstone Properties is also a supporter of organizations such as Habitat for Humanity and Disabled American Veterans. Amanda Frazier, R, Property Manager and Chief Operating Officer of Cornerstone Properties has been with Cornerstone Properties since 2008 and is the eldest of Carl’s six children. She is a Property Manager of over 100 doors and is also responsible for company operations and employees. 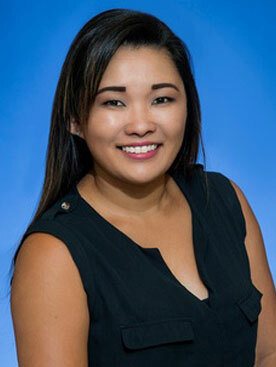 Amanda is also the chair of the Oahu Chapter Government Affairs Committee and a member of the National Government Affairs Committee for NARPM (National Association of Residential Property Managers), and the Co-Vice Chair for the Hawaii Association of Realtors Government Affairs Committee. 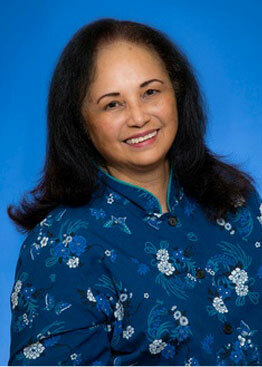 She is also on the Board of Directors for the Honolulu Board of Realtors. Amanda was raised in Aiea, and graduated from Lutheran High School in Honolulu. A graduate of Chapman University, Amanda spent six years living in Orange County, California. 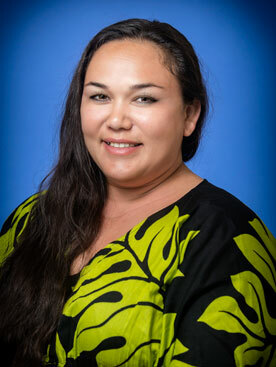 After receiving her Bachelor’s Degree in Business with her emphasis in Marketing, she worked for Ingram Micro’s marketing department before returning to Hawaii. In her free time, Amanda enjoys playing her guitar and performing original music with her band. They won the Na Hoku Award for Alternative Album of the Year in 2014 for their album tiled Just Dream which can be found on iTunes and their website www.amandafrazier.com. 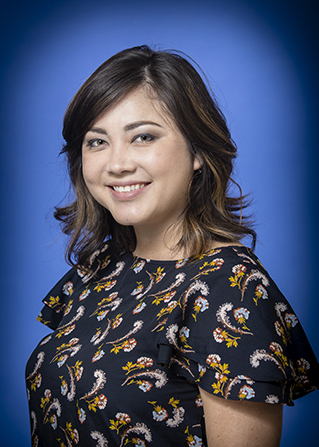 Tiffany Kom, RA, AHWD, ePro, GRI, has been with Cornerstone Properties since 2012, but has worked within the Property Management business for many years prior. Her background in maintenance gives her a unique perspective and she is excellent at surveying properties and giving clients an idea of what improvements they can do to their unit. Although she has lived in Hawaii for many years where she attended the University of Hawaii at Manoa, she is originally from Long Island, New York and also attended Hunter College in New York City. Tiffany is a certified scuba diver, has many academic interests, and enjoys spending time with her family. 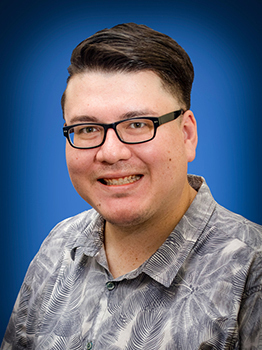 Andrew Frazier joined the Conerstone Properties ohana in June of 2015. Carl’s third of six children, Andrew is currently in the process of obtaining his real estate license while assisting our property managers. 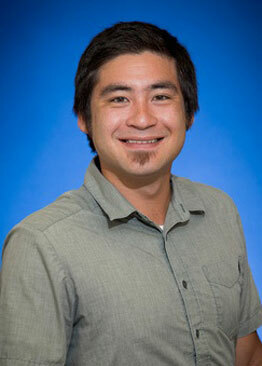 Andrew grew up in Aiea, where he attended Aiea High School before enrolling in the University of Hawaii at Manoa. He recently obtained his Bachelor’s Degree in Business Management, and began working for Cornerstone soon after graduating. Andrew is involved a variety of hobbies, including playing percussion in a band with his sister, Amanda. He is also active and enjoys hiking, going to the beach, and playing various sports. Sandy Jessmon, RA, has been with Cornerstone Properties for over 19 years. She specializes in client and customer correspondences, lease renewals, and has many years of experience working alongside Section 8 housing offices. 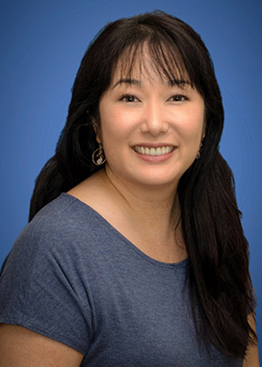 Sandy is a graduate of Kamehameha Schools and has many hobbies including collecting bells from all around the world, singing karaoke, and enjoys working with numbers. An interesting fact is that both her grandmother and great-grandmother were born before 1900. Linda Simbre is the first person you will meet when you visit our Cornerstone Properties office. Linda has been with Cornerstone Properties for almost 10 years as an assistant to Carl Frazier managing maintenance requests, and customer relations among other tasks. She is known for being excellent at remembering clients’ and customers’ names. Linda enjoys scrapbooking, and spending time with her family - especially her grandchildren. Linda also has a love for music - particularly Jazz and Latin. Her husband is a local musician and his specialty is the congas and drums. Her hobby is collecting shot glasses from all around the world. Chelsie assists in roles relating to customer relations and communications, tenant move-ins and move-outs, and maintenance requests, among other tasks. She also has over fourteen years of customer service experience. In her spare time, Chelsie enjoys spending time with her ever growing family and her cats. 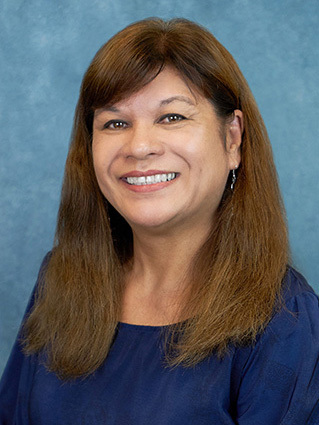 Shanel Tomisato has been with the Cornerstone family since 2008. She is our resident expert of client online accounts and deals extensively with our tenants. She works alongside Leslie in our accounting department and focuses mainly on accounts receivable. Shanel graduated from Moanalua High School and attended the Travel Institute University studying hotel management in Hawaii. On her free time, she enjoys spending time with her husband and 3 children, as well as crafting, baking and running their family business, Koa Athletics. She also loves anything Hello Kitty! Aaron Frazier, the third oldest son to Carl Frazier, joined the company in 2015. Prior to that, he served in the United States Marine Corps. His main focus is maintenance coordinating. He enjoys listening to music, playing board and video games, and spending time with family. Sharal Fernandez joined Cornerstone Properties in 2016. She assists Shanel in the accounting department. Sharal is from Mililani and graduated from Pearl City High School. She has an extensive experience in hospitality and customer service. You’ll find her by the “pay rent here” window in our office, or outside of work singing worship for homeless outreaches, spending time with her two children, or helping her husband (who in her opinion, is one of Oahu’s best guitarists), writing new Christian songs, or helping with her husband’s handyman business called Alsha’s. Arthur Frazier’s main role at Cornerstone Properties is assisting the Founder, CEO, and Principal Broker Carl Frazier. 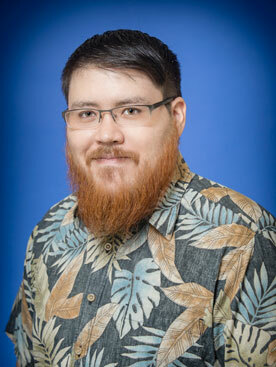 Born and raised in Aiea, HI, Arthur attended Leeward Community College. He graduated with an Associate in Science degree in Digital Media specializing in Motion Graphics and also got a certificate in Web Design. Since graduating, Arthur has done some graphic work as a hobby. Arthur has volunteered at several churches in various capacities. Currently on Sundays, Arthur volunteers at Honolulu Christian Church assisting the preschool teachers. Arthur also supports various charities and organizations, such as, but not limited to: Children’s Miracle Network and The 700 Club. 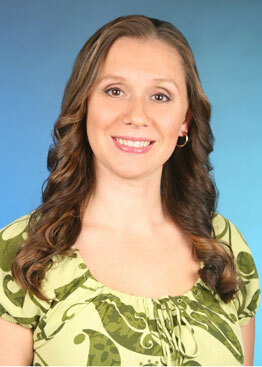 Stacie was born and raised in Aiea, and is a graduate of Aiea High School. Stacie is married to Iran, and has two sons. Stacie lived in Okinawa and San Diego because her husband is active duty. While in San Diego, she earned her Business worker certificate from San Diego Continuing Education Caesar Chavez Campus. She also volunteered as a Sunday school teacher and youth leader at her local church. She worked as a preschool teacher aide and Certified Nurse Aide at a hospital and adult daycare. Stacie enjoys spending time with her family and friends, and feels blessed to work at Cornerstone Properties after many years of being a stay at home mom.